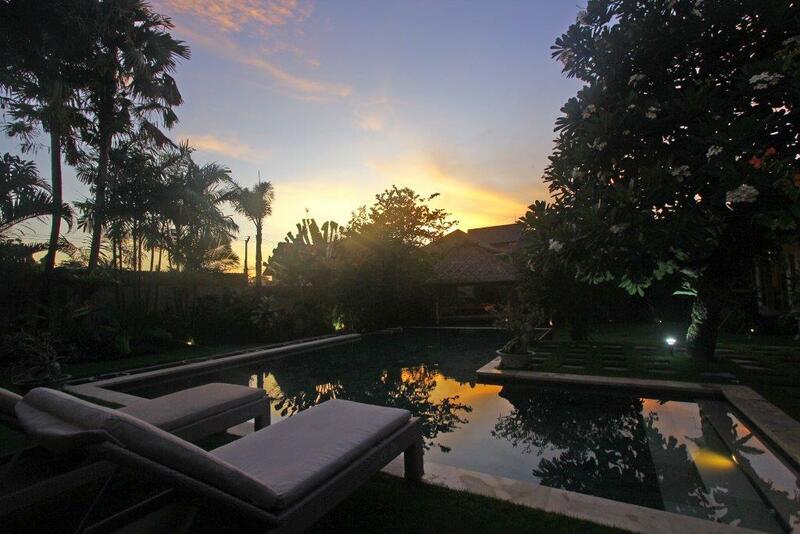 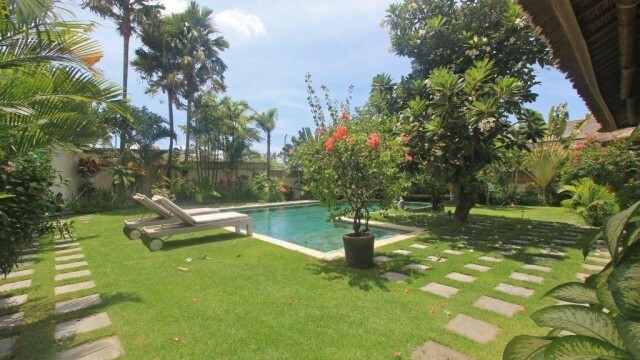 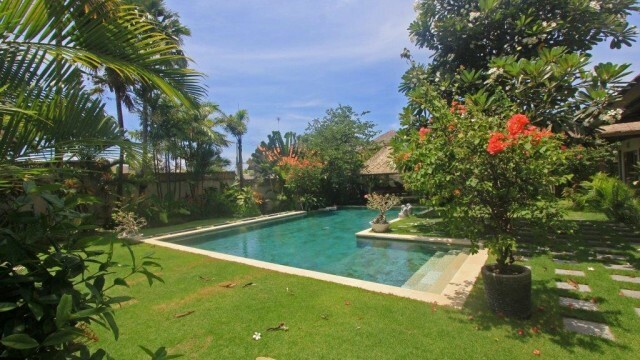 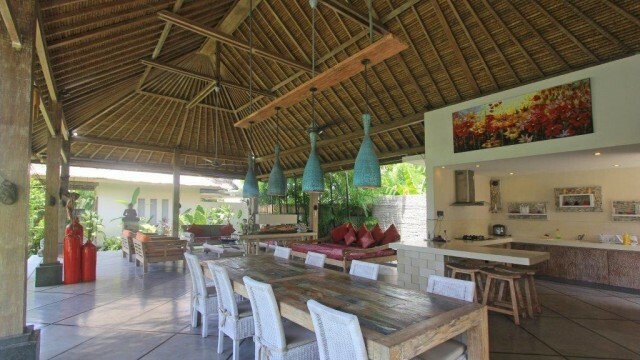 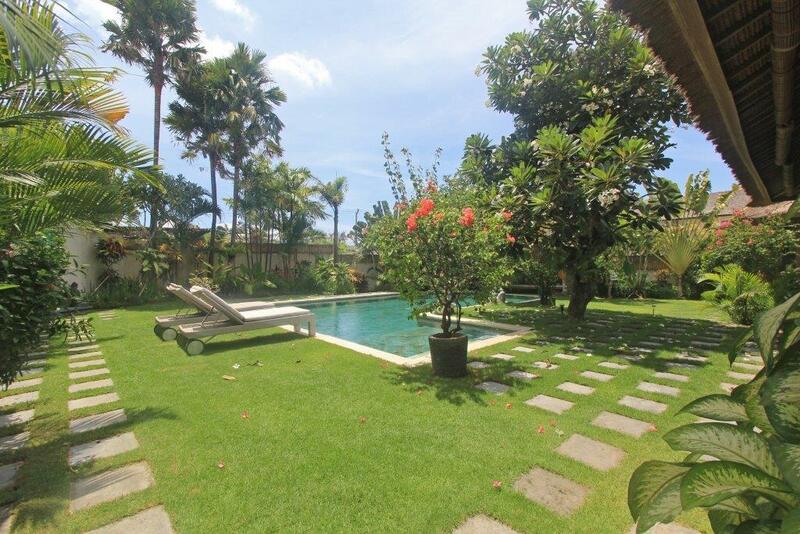 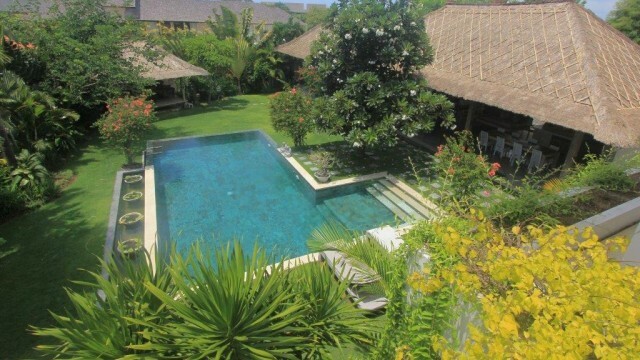 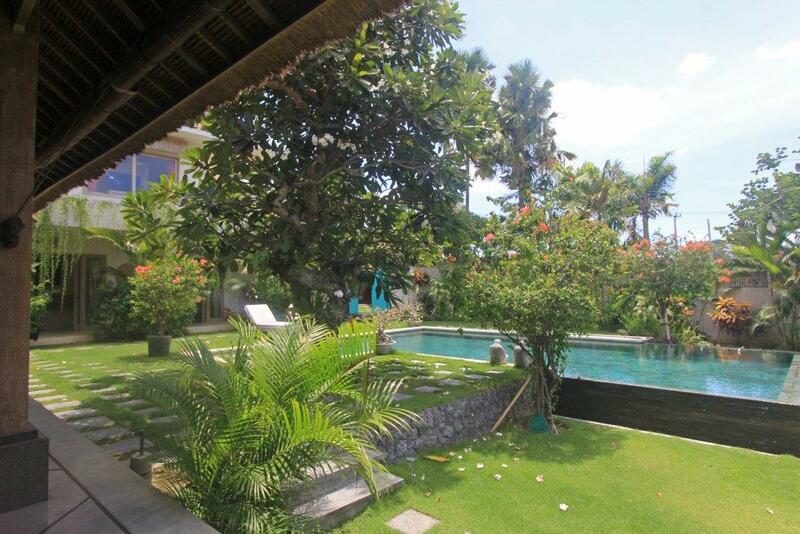 Stunning 4 bedroom villa with large swimming pool on a plot of 10 aras located in Canggu / Brawa, at about 250m from the beach and only 15 minutes from Seminyak. 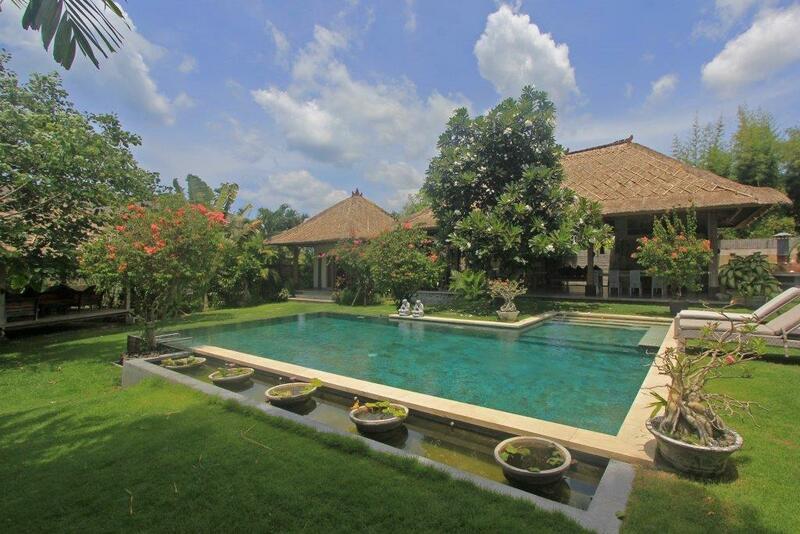 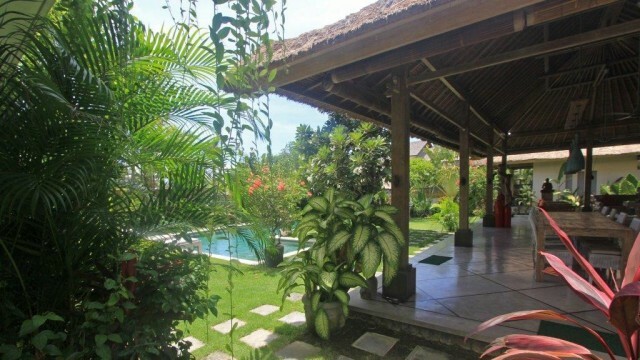 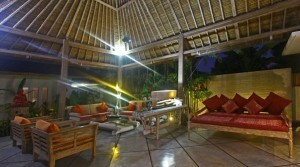 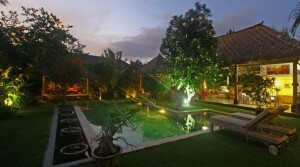 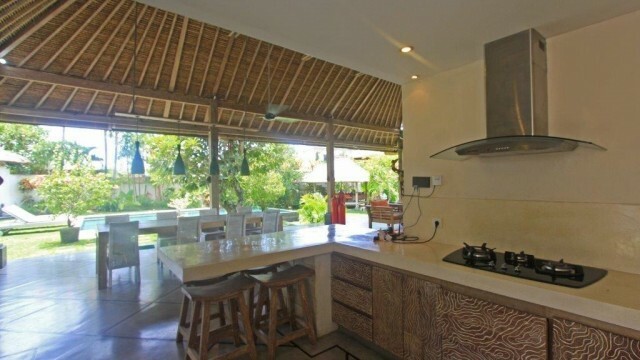 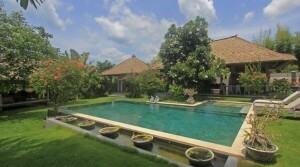 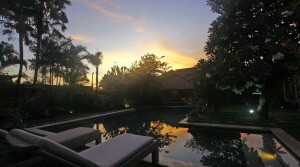 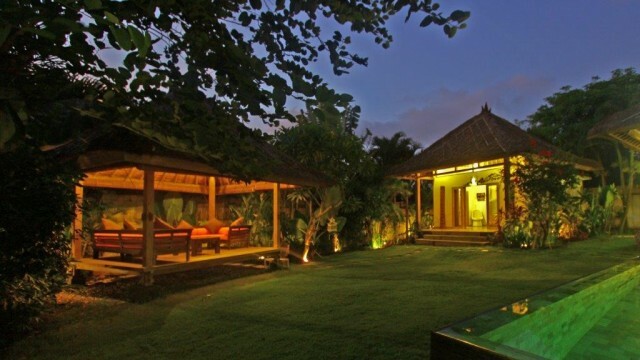 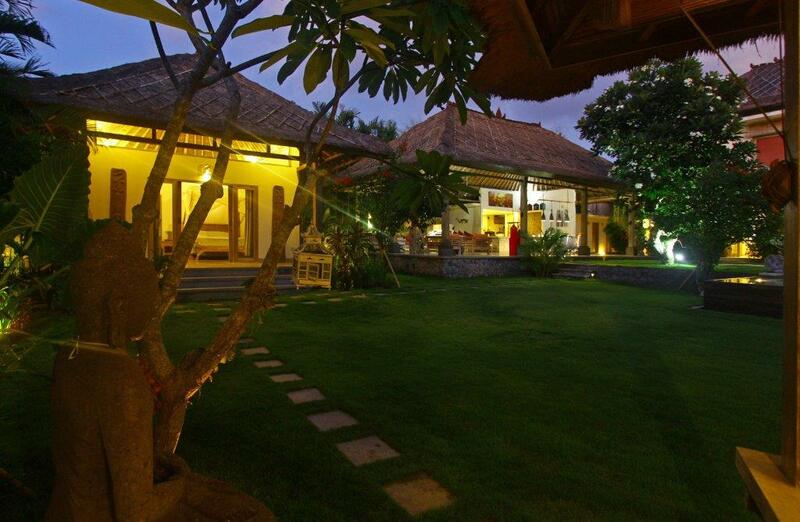 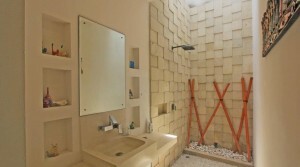 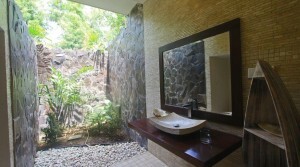 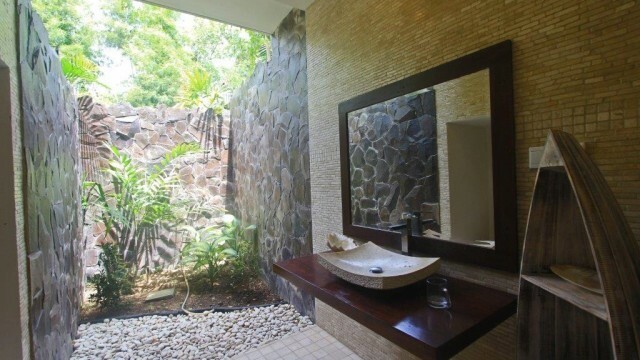 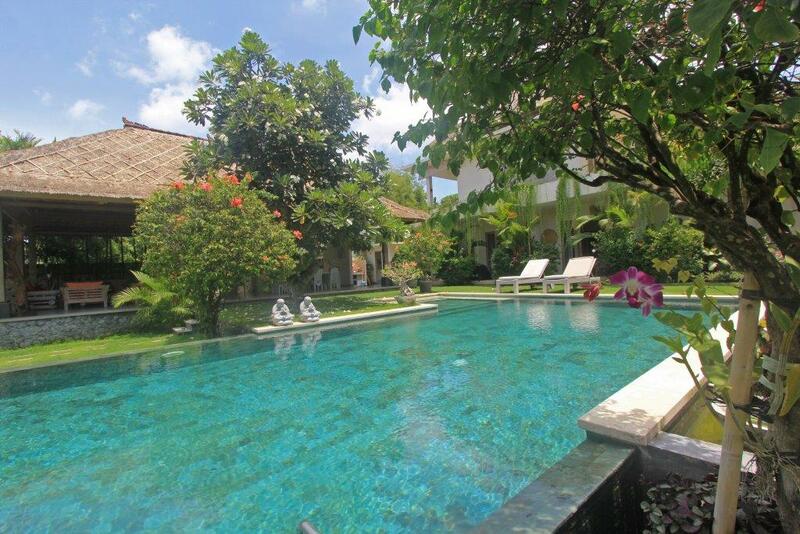 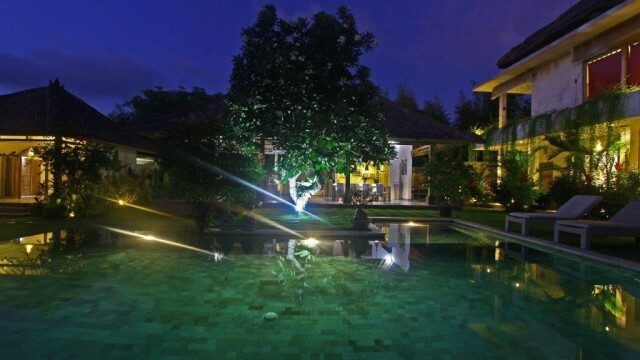 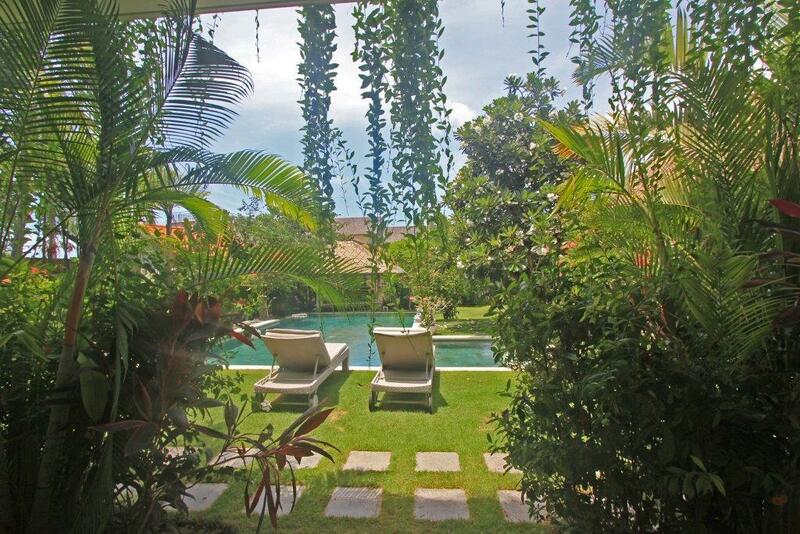 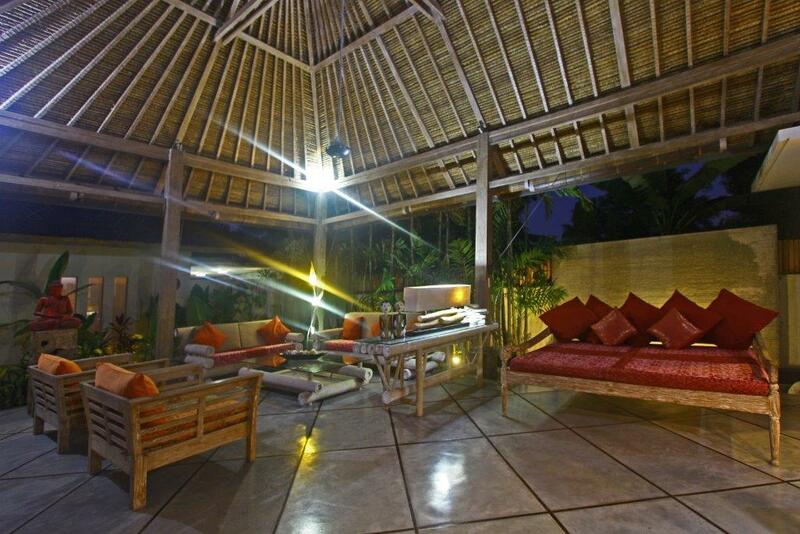 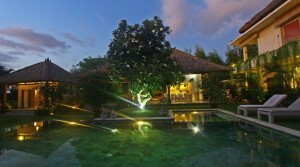 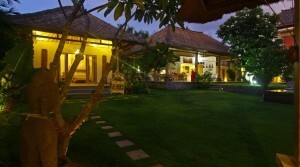 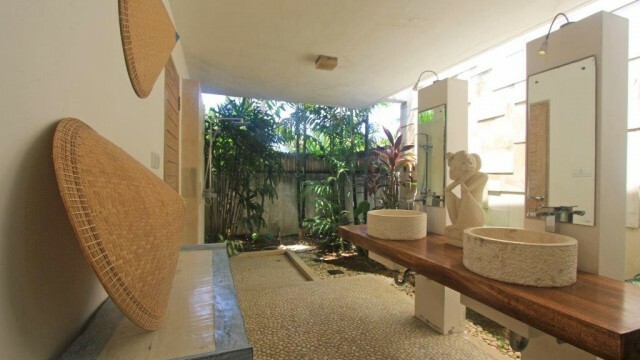 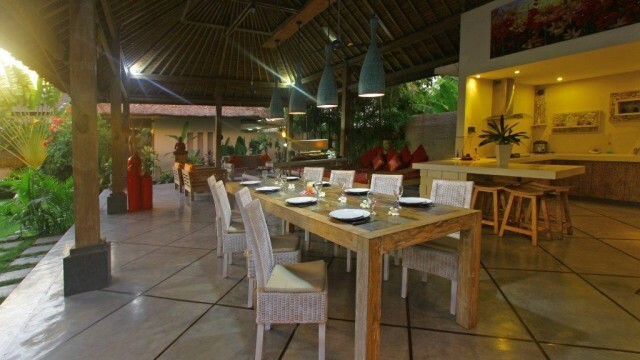 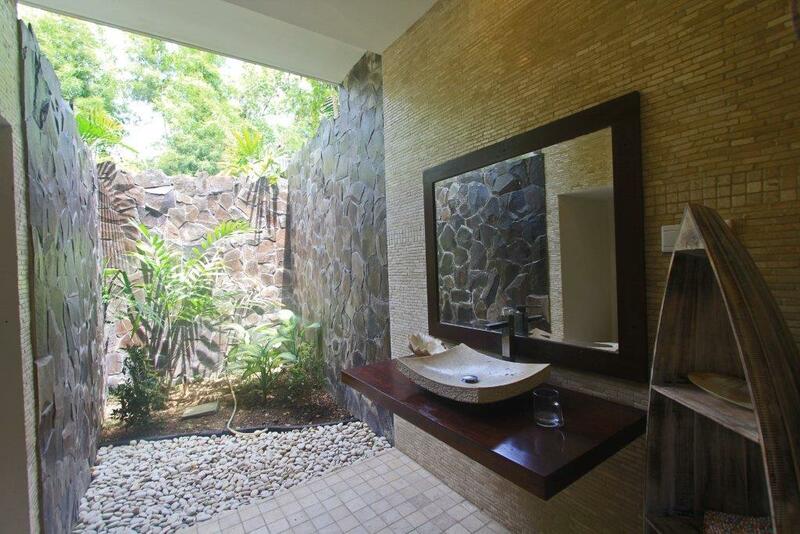 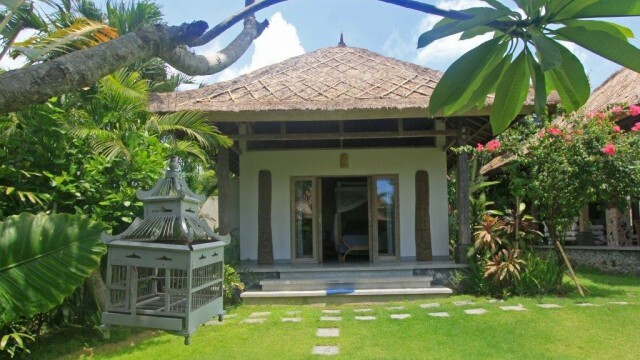 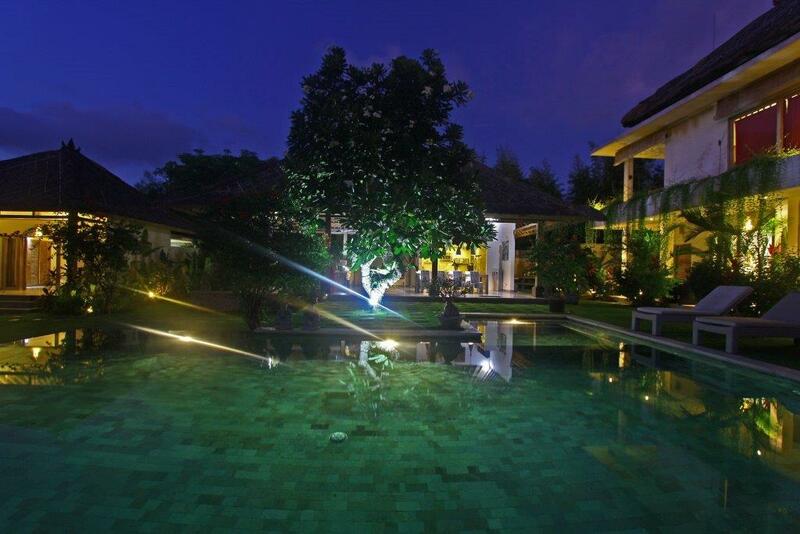 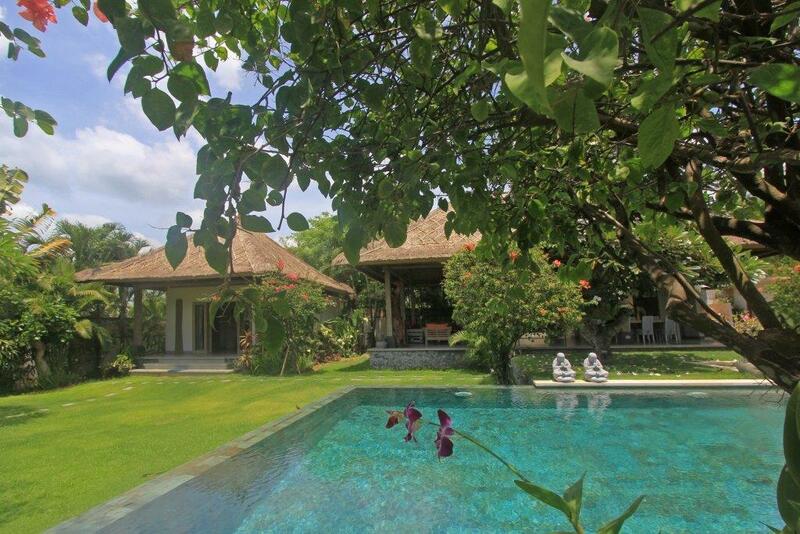 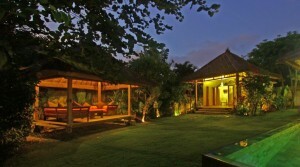 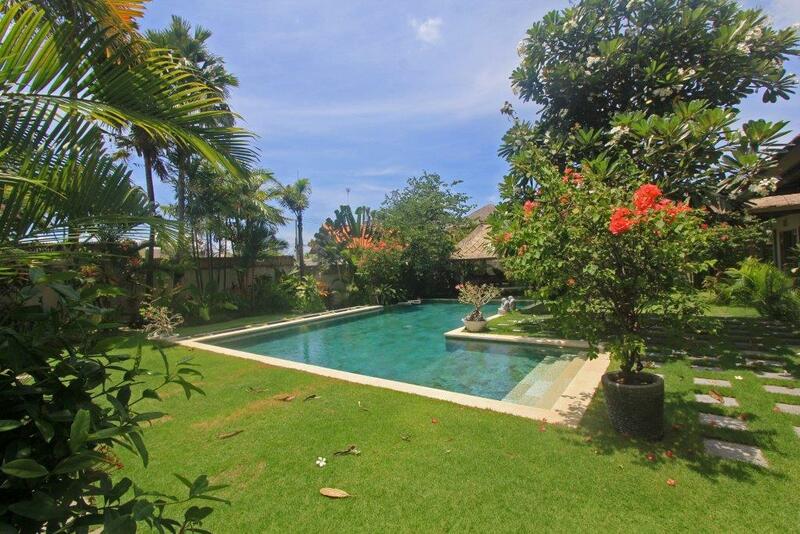 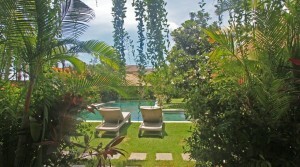 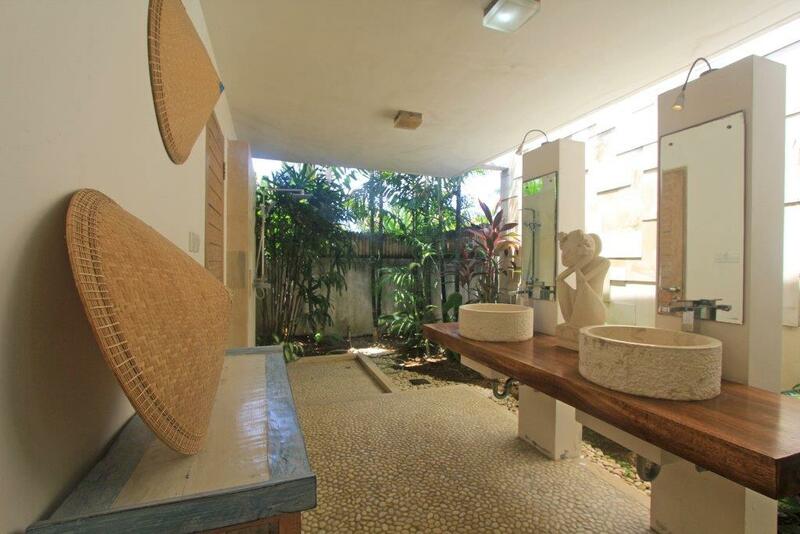 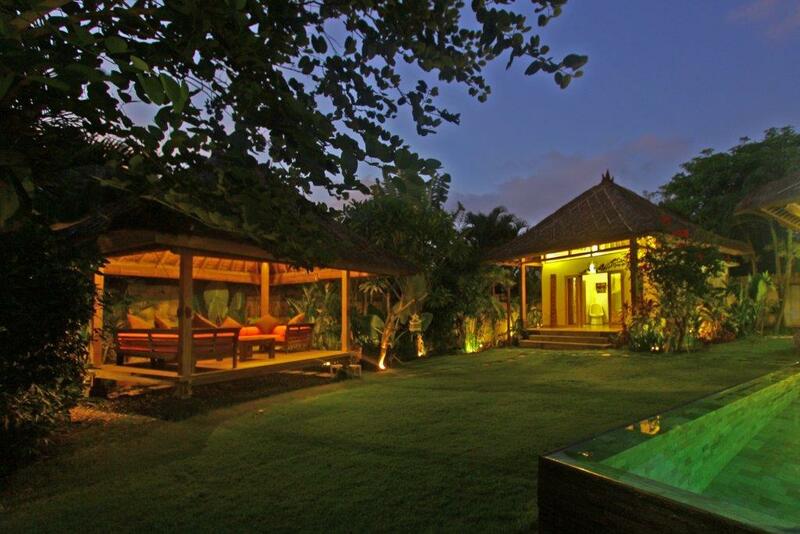 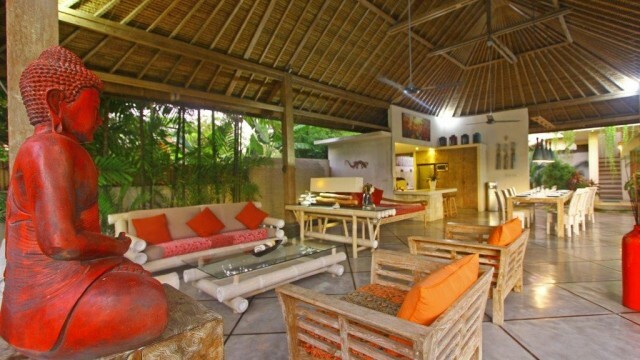 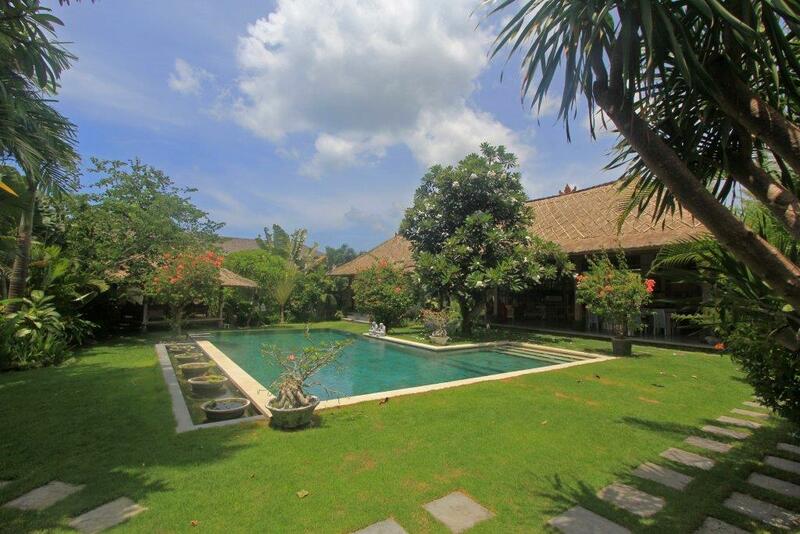 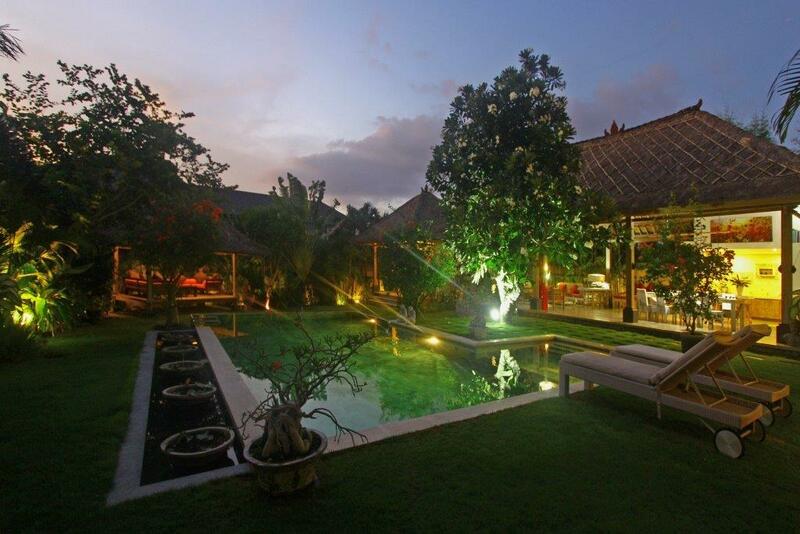 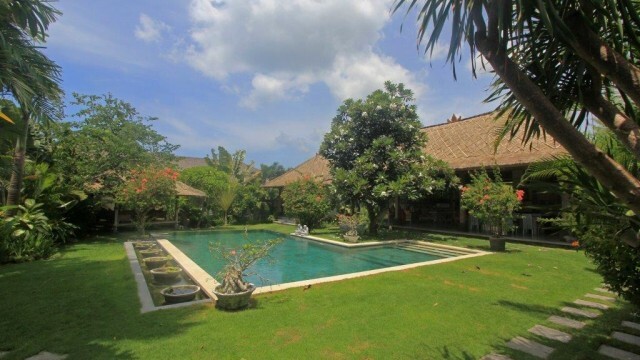 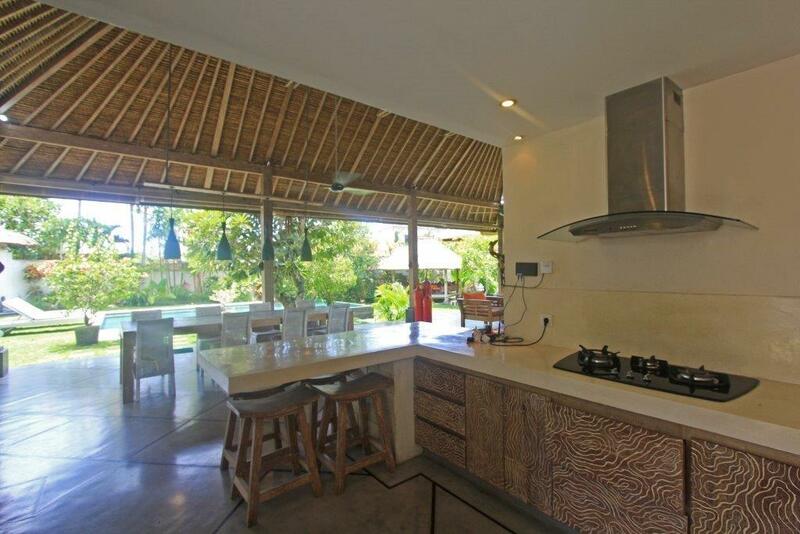 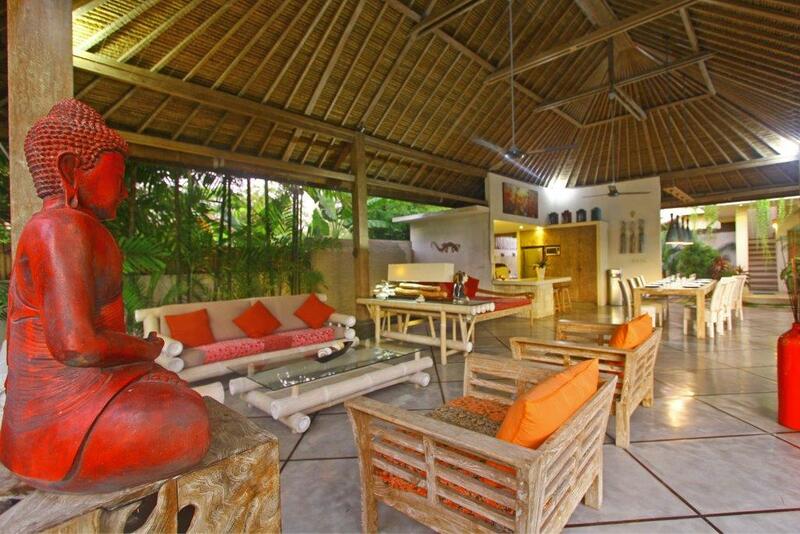 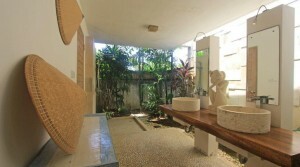 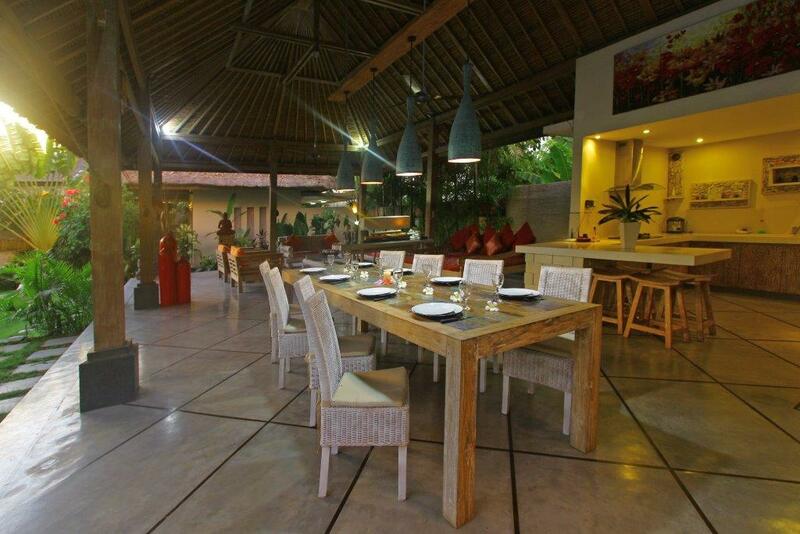 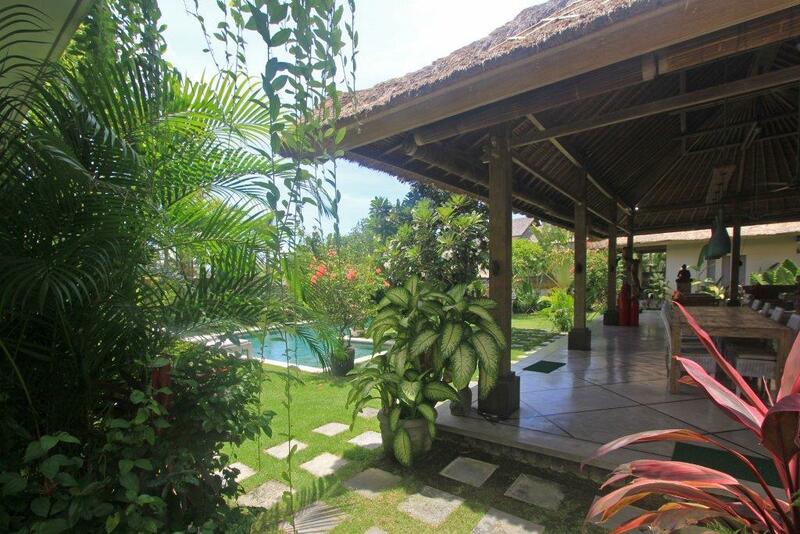 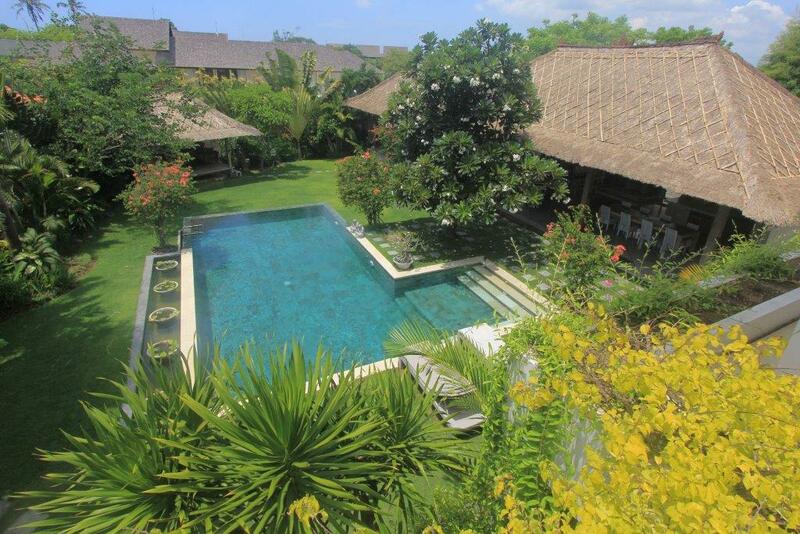 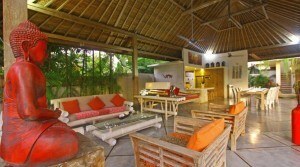 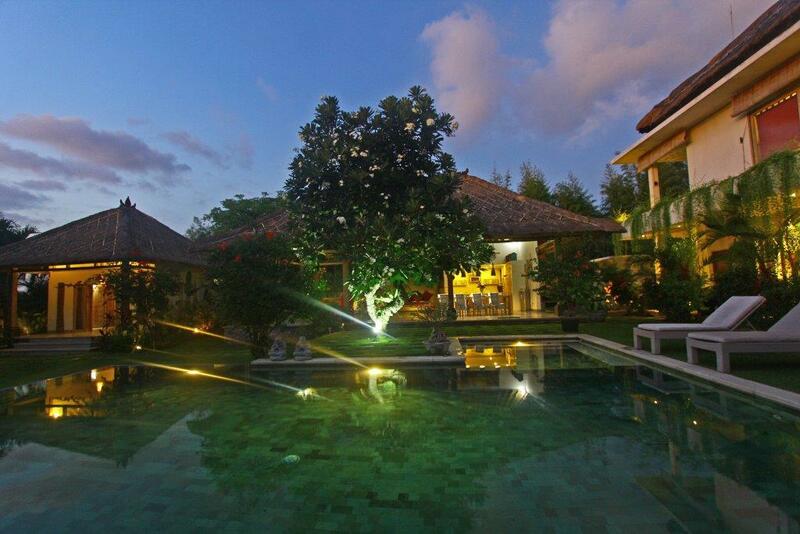 This charming villa with roofs in Alang Alang is located at the end of a quiet street, it has a private parking. 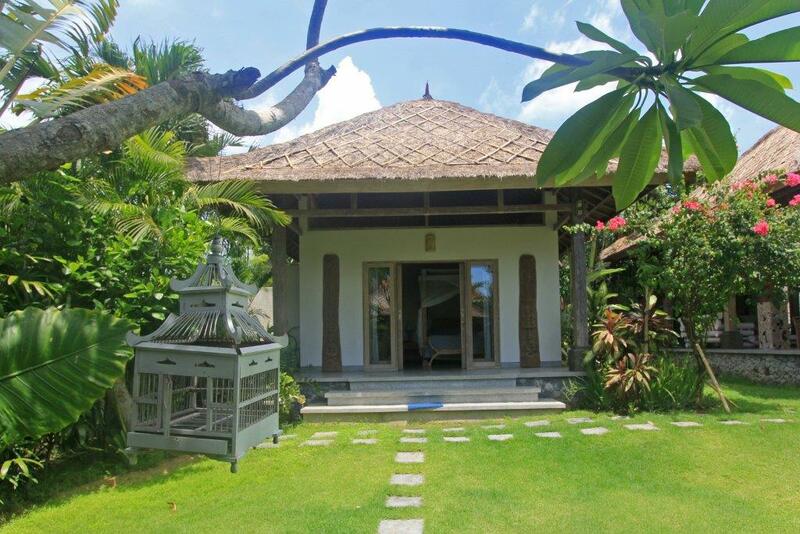 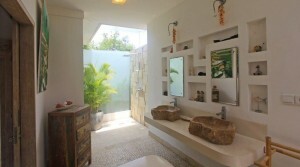 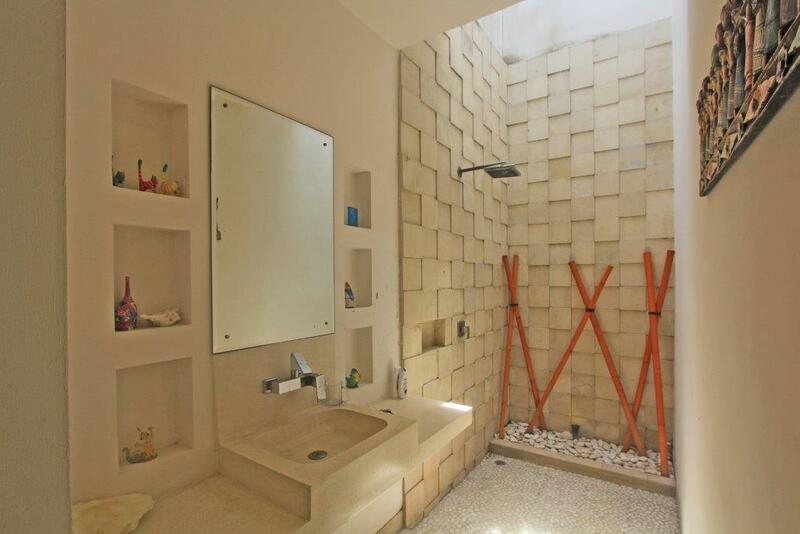 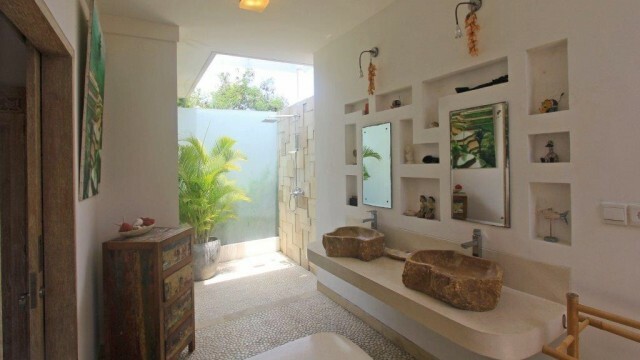 After pushing the door carved wood, you feel immediately immersed in an atmosphere of peace and serenity. 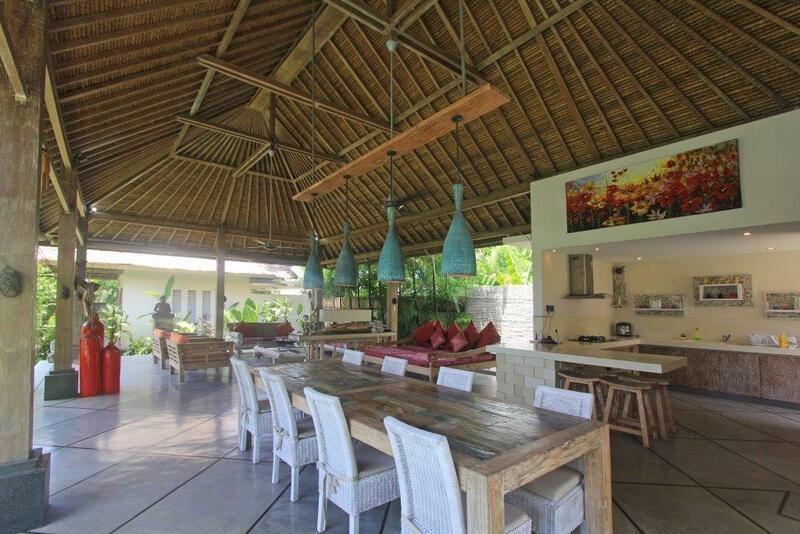 On a plot of 1000m2, Villa Eden has a large living / dining room furnished and decorated with great taste and a large fully equipped kitchen. 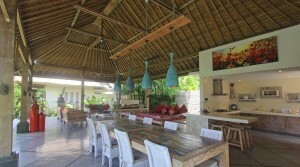 This living area opens onto the swimming pool of about 10m x 6m with its beach tanning 3m x 3m. 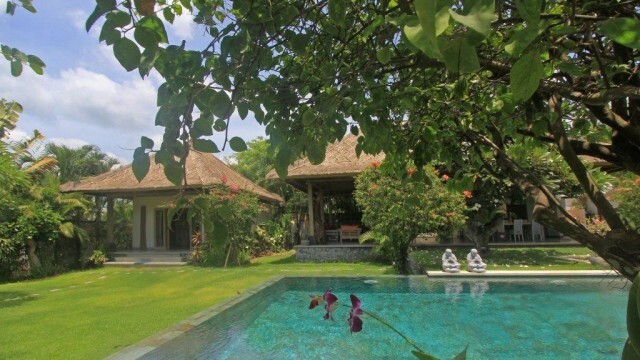 The swimming pool in its exotic garden is lined with deckchairs and is overlooked by a large gazebo furnished converted into living room, ideal for relaxing or a drink. 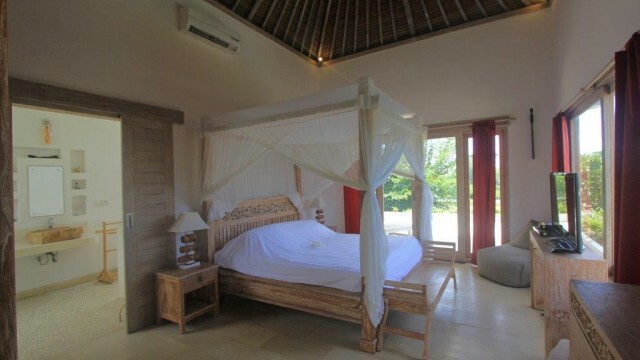 Two double four-poster beds with their en-suite bathrooms and large dressings are on the ground floor. 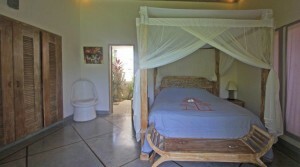 A staircase leads to the third bedroom, very spacious, it has a four-poster bed with a large bathroom. 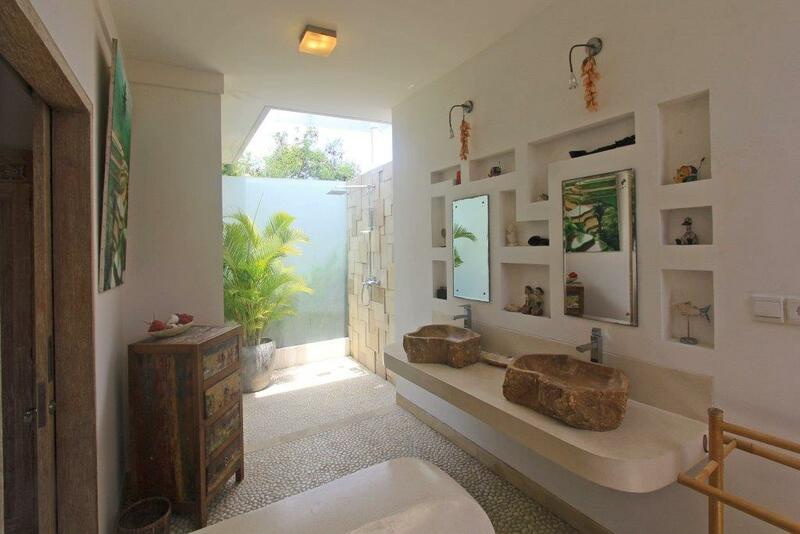 It has bay windows opening onto a private terrace. 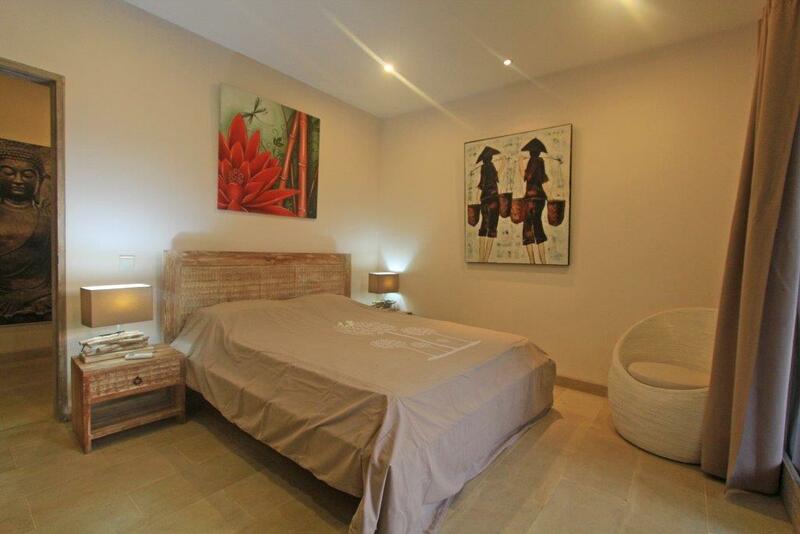 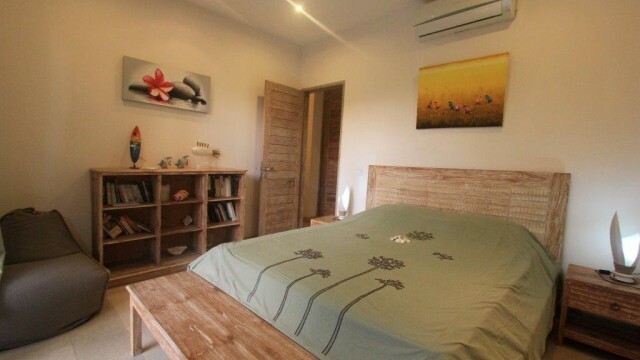 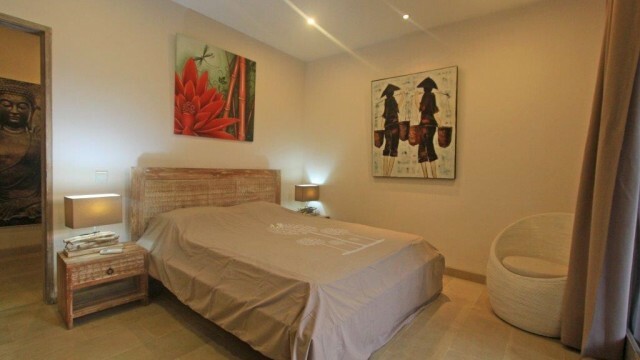 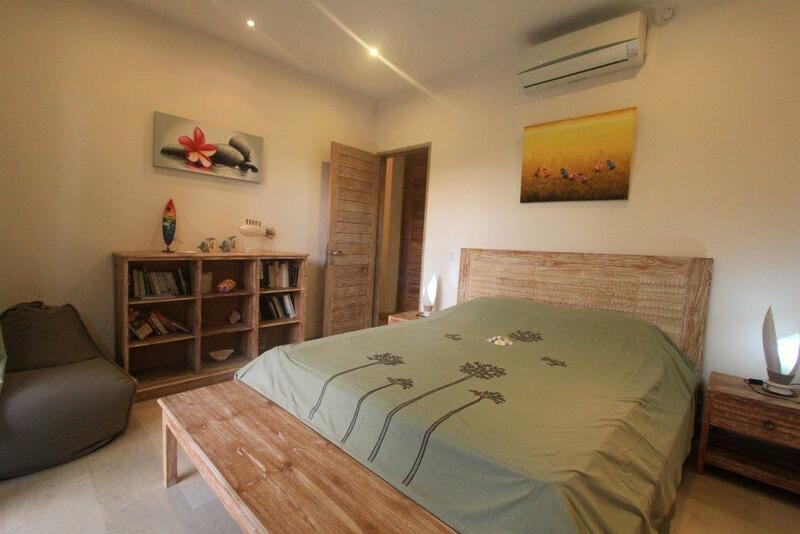 This bedroom is equipped with cable TV (TV5 Monde) and a DVD player. 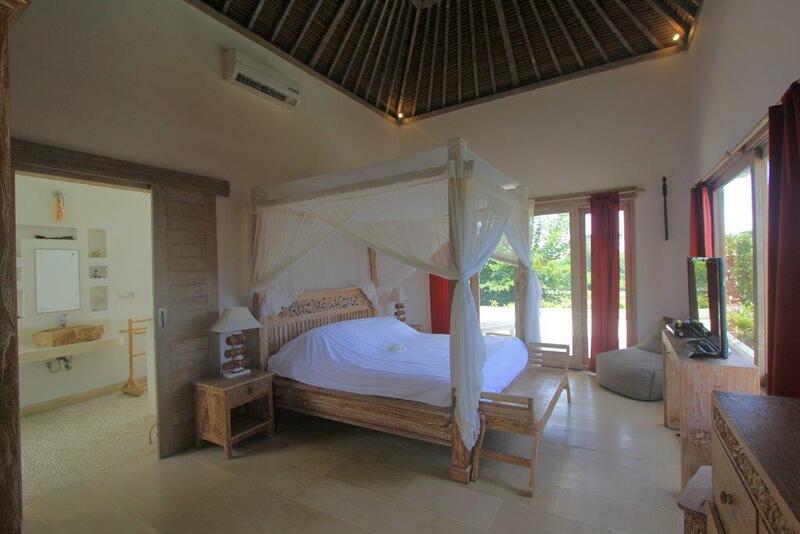 The fourth bedroom is also spacious, it is located in a separate pavilion in the garden. 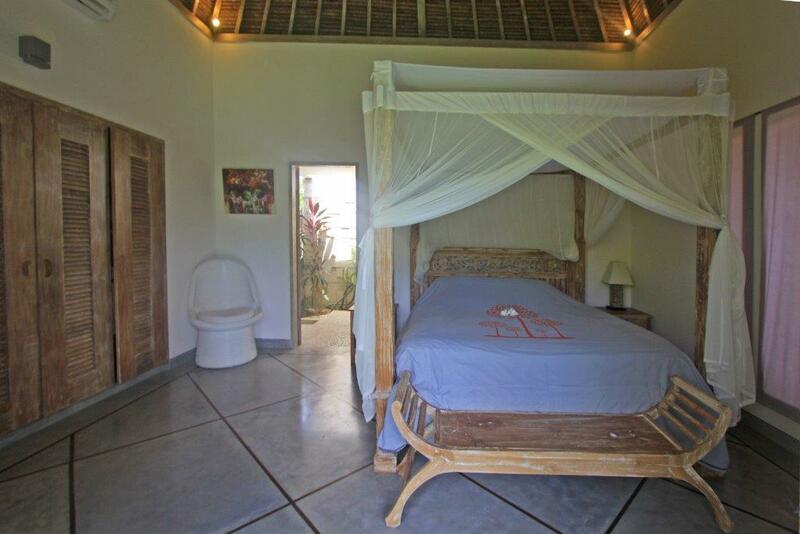 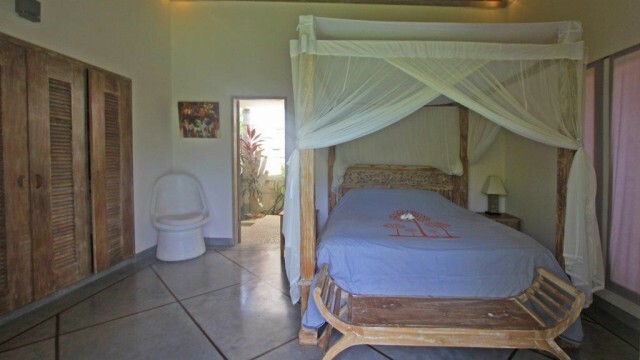 It has a large four-poster bed and a large private bathroom. Villa Eden is a true haven of peace, it offers all the benefits we are looking to spend an idyllic stay, 250m from the beach and only 15 minutes from Seminyak.
. 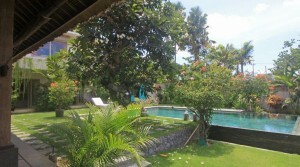 The house staff is at home, a lovely couple makes daily clean and maintenance of the house, the pool and the garden. 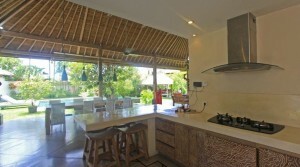 The maid can do the shopping and prepare breakfast.
. The villa is equipped with wifi internet.
. An extra mattress on request.